Yes—you read that right. 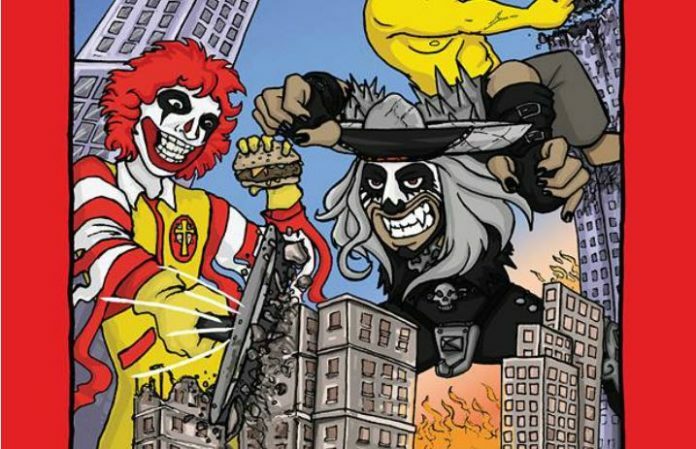 A fast food-themed Black Sabbath cover band exists, and they're fittingly called Mac Sabbath. They just released their first recorded single, “Pair-A-Buns,” and it comes with its very own coloring activity book. Mac Sabbath are beginning a co-headlining tour with the world's first and only heavy metal Mariachi group Metalachi. Okilly Dokilly—the Ned Flanders, of The Simpsons, “nedal” band that we told you about before—are opening the tour.